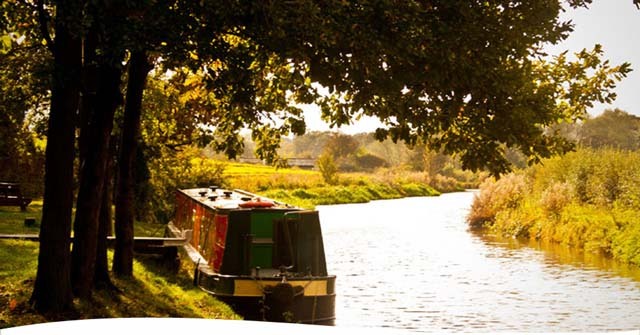 This circular canal holiday cruising route takes in four counties and three very different canals, to give you lots of variety. 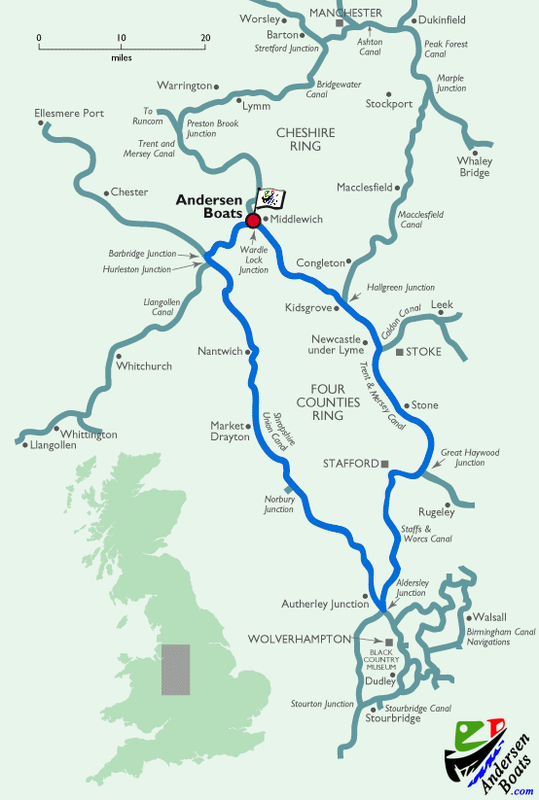 After cruising to Barbridge to reach the main line of the Shropshire Union Canal, where this route heads south. 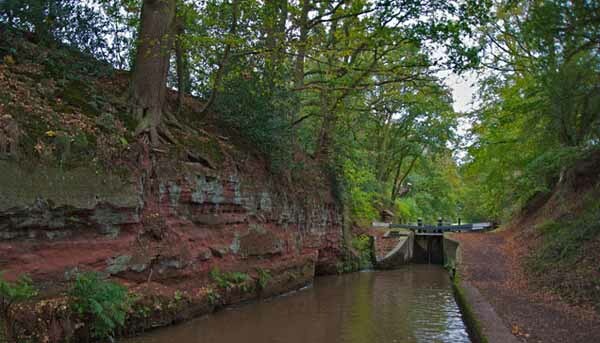 The Shropshire Union is one of our newer canals (or less old, one should probably say), and it runs in a comparatively straight course: this means there are several mysterious deep wooded cuttings, and huge embankments on which the canal soars above the surrounding landscape. Nantwich is a wonderful old market town, with many half-timbered houses. 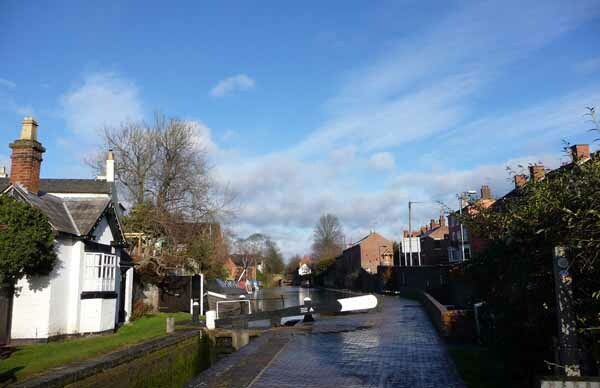 At Audlem, after visiting the particularly well stocked canal shop in the old mill, you tackle the lengthy flight of narrow locks before reaching Market Drayton. Now the canal continues straight without locks through unspoilt arable land and deep cuttings. 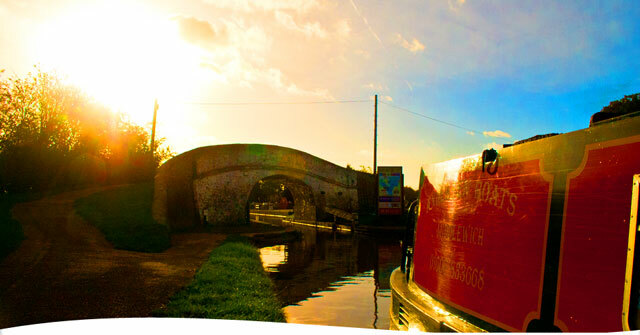 After crossing Watling Street on a fine aqueduct, the canal enters Brewood, a great place to stop and eat or rest for the night. 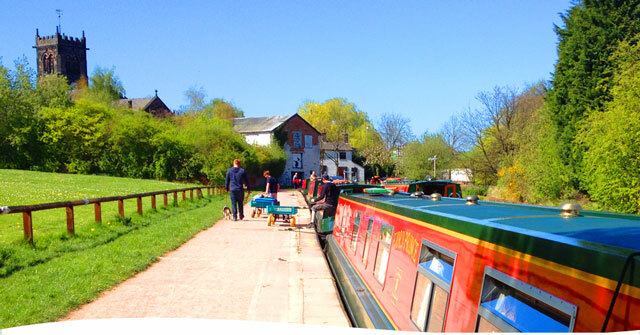 At Autherley, you turn onto the Staffordshire and Worcestershire Canal: this is much older and more winding as it makes it way past Gailey and Penkridge to the marvelous expanse of Tixall Wide, where a stop will be rewarded by the sight of much wildlife. 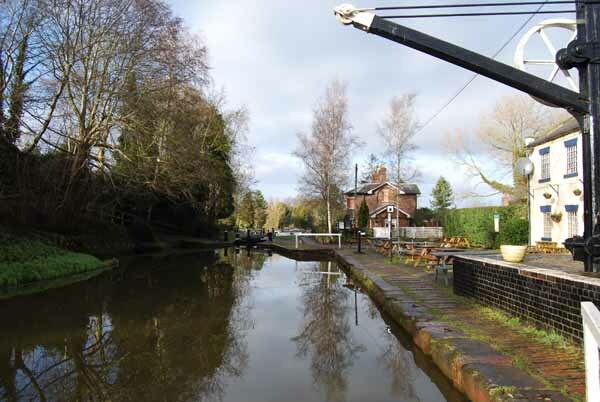 At Great Haywood, you turn onto the Trent & Mersey Canal. This has relatively few locks before reaching the famous brewing town of Stone. A stop can be made at the Wedgwood Pottery Museum before the rural landscape gives way temporarily to the much busier scenery of the Potteries. 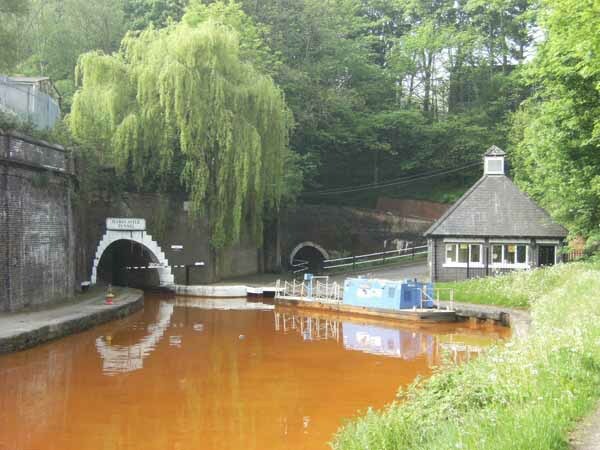 The tunnel keeper at Harecastle Tunnel will see you safely through this lengthy edifice before you start the descent via many locks to arrive back at our Andersen Boats base in Middlewich. The most frequent question asked about the Four Counties Ring is "Which is the fourth county?". Even if you failed GCSE Geography it's fairly simple to guess at Cheshire, Shropshire and Staffordshire being included. Well the fourth is the West Midlands, however you're only in it for a couple of miles or so on the northern fringes of Wolverhampton. 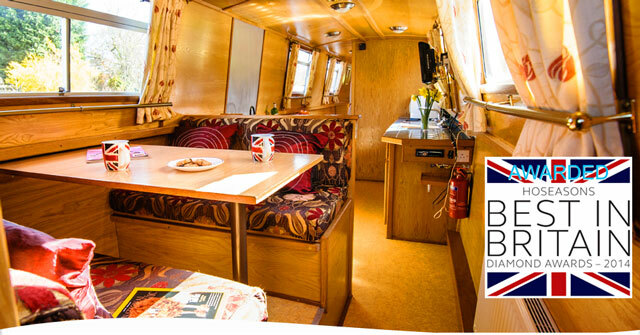 Of course you may not have the time or inclination to cruise the whole circuit, but prefer instead to amble along the Shropshire Union Canal, mooring now and then to explore the likes of Nantwich, Audlem and Market Drayton or any of the other dreamy towns and villages which lie beside its flower strewn banks. 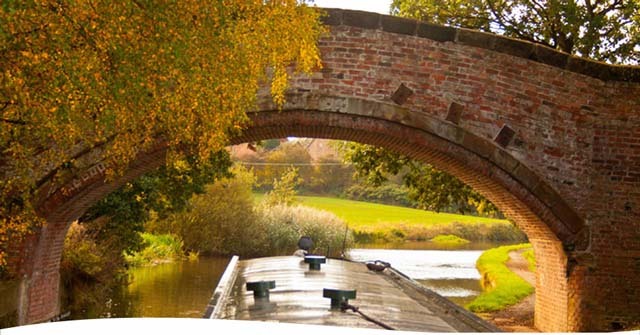 To reach the Shropshire Union from Middlewich you travel west along the short length of the Shropshire Union Canal to Barbridge Junction, a four hour cruise which a fairly energetic crew can easily accomplish on their first afternoon afloat. The next morning might see you calling in at Nantwich, a lovely half-timbered old market town, for the shopping, or carrying on to Audlem for lunch and a visit to the splendid Audlem Mill Canal Shop. 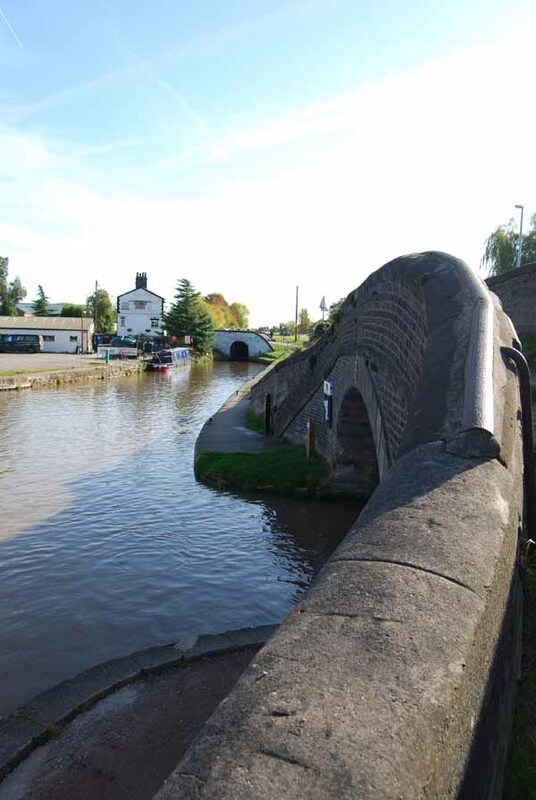 Fifteen locks carry the canal up out of the Cheshire Plain and into Shropshire, and there's another five at Adderley before you reach Market Drayton, another of the timeless old towns which this part of the world seems to specialise in. Here you can discover the spicy secret of gingerbread making which had its origins in the neighbourhood. 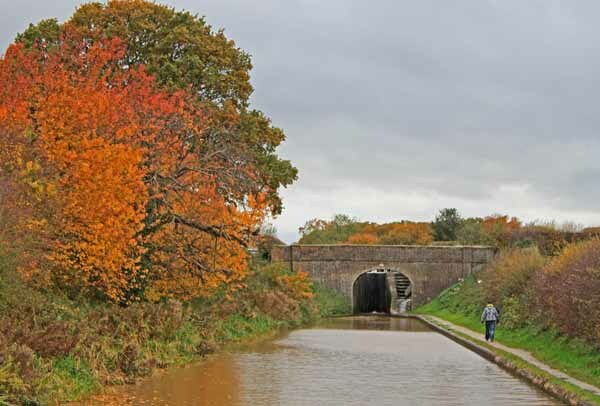 This section of the Shropshire Union Canal was one of the last great inland waterway schemes in this country, and it has a boldness of atmosphere born of the confidence of its age, characterised by deep cuttings and high embankments designed by Thomas Telford to avoid as many locks as possible. 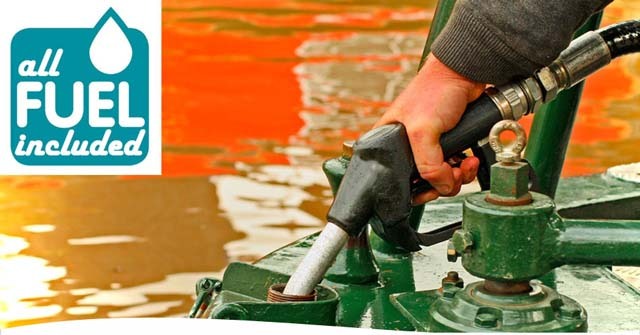 Today's holidaymakers can thank him for a twenty-five mile stretch with only one lock to impede their gentle progress across this uncluttered countryside. Mile succeeds trance-like mile. The next port of call of any consequence is Brewood, a lovely village of winding lanes and handsome houses which has several good pubs. If you are retracing your steps to Middlewich this will probably be as far as you can comfortably get in a week. 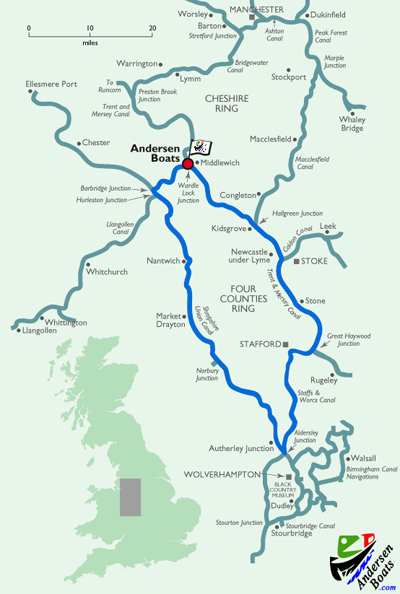 In any case, the Shroppie is almost at an end, for a few miles to the south lies Autherley Junction and the next leg of the Four Counties Ring along the Staffordshire & Worcestershire Canal. Brindley's Staffs & Worcs is the antithesis of Telford's Shropshire Union. It belongs to an earlier generation of canal building less-accomplished in civil engineering terms, but all the more enchanting for its propensity to wander about the countryside like a dog trying to remember where he's hidden a favourite bone. Its summit section ends at Gailey, overlooked by a charming roundhouse which once housed a toll-keeper but is now home to an excellent canal shop. 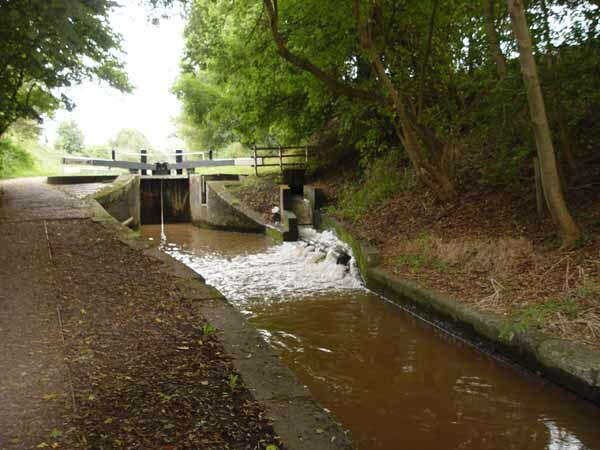 The locks lead you down to Penkridge as the canal winds around the northern tip of Cannock Chase, missing the county town of Stafford by a mile. The countryside hereabouts is delicious. Beyond the village of Milford the canal suddenly widens into an ornamental lake known as Tixall Wide. The story goes that Izaak Walton learnt to fish here. A fanciful tale, perhaps, but it is definitely known that Mary Queen of Scots was imprisoned in the neighbourhood on her way to the executioner's block at Fotheringay. 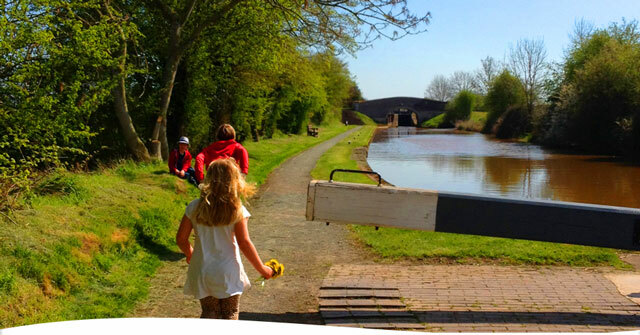 At Great Hayward you join the Trent & Mersey Canal and head northwards along the picturesque Trent Valley towards The Potteries. 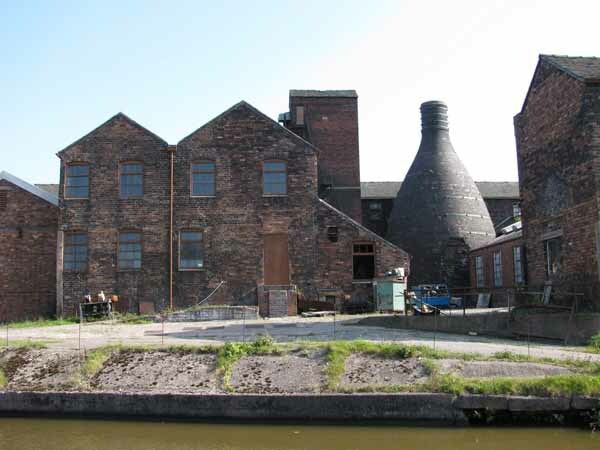 The city of Stoke-on-Trent is made up of six individual towns, all still very much involved with the manufacture of ceramics. 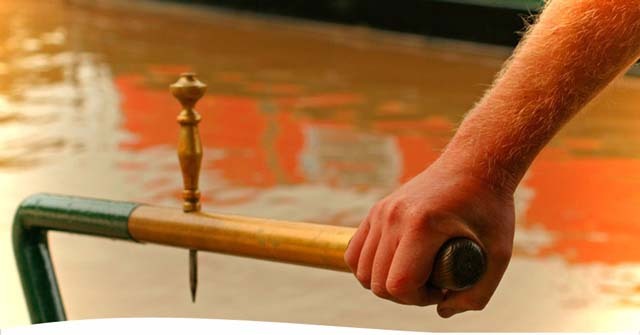 The canal's journey through The Potteries isn't pretty, but it is fascinating in an unexpected way. Several of the pottery works notably Wedgwood at Barlaston - are open to the public and there is much to be enjoyed and learnt. At the restored Bone Mill at Etruria, for example, you can discover the origins of the term 'bone china' , and you'll never feel the same about your best tea set in that Welsh dresser at home again. Etruria is also the location of the Festival Park whose attractions include a multi-screen cinema complex and Waterworld, one of those huge swimming pools with all manner of shutes and slides and wave machines; the perfect antidote for those in your crew who always wanted to spend their holiday at the seaside anyway. Having quelled potential mutiny, press on to Harecastle Tunnel, one of the great experiences of canal boating. At Harecastle Tunnel you are faced with an hour's subterranean cruising under your own power and control; holidays don't come much more adventurous than this. Boats enter the 'single-lane' tunnel under the supervision of keepers at either end, and it is best to arrive at the tunnel mouth no later than mid afternoon to avoid being delayed overnight in less than prepossessing surroundings. Whilst you are deep in the bowels of the earth, the scene shifters are busy, and beyond the north end of the tunnel you soon exchange Staffordshire industry for Cheshire countryside. Now you begin to descend the infamous locks of 'Heartbreak Hill'; twenty-six locks in seven miles, six or seven hours hard work. Happily you aren't forced to do them all at once, and there are several little villages along the way at which to take a breather. Many of these heartbreaking locks are 'duplicated', or in other words they have two chambers, side by side, an improvement carried out to speed up traffic during the nineteenth century, though many are now closed. 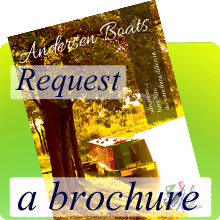 Sooner or later you arrive back from your Four Counties Ring holiday adventure at our Middlewich Andersen base.